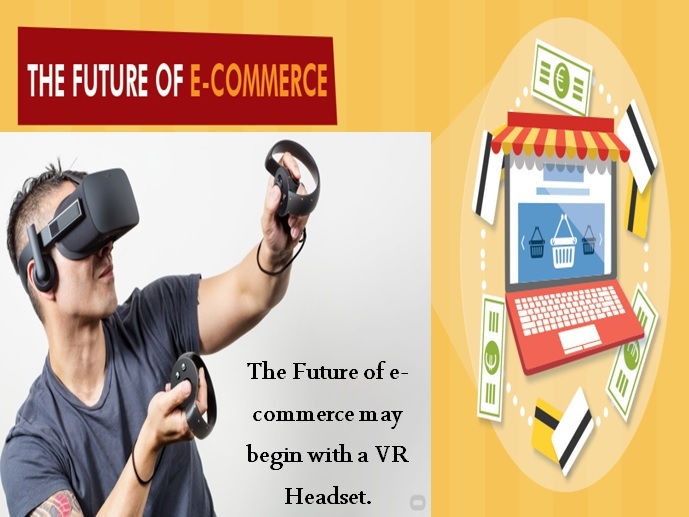 E-Commerce is not just about shifting products online, the very nature of this business is that of a continuously transforming beast and those looking to get ahead in the market need to accustom themselves with the changes. It is reported that approx 77.24% of the shoppers leave their carts before making the final purchase. This shows that it takes a lot more convincing from the retailers to impress customers to purchase online as per their choice. Virtual Reality (VR) is an emerging technology that could do your bidding. Together with its sister technology – Augmented Reality (AR) – it has the potential to transform the retail industry. Even large numbers of customers believe that these technologies heighten their shopping experience. Before considering manifesting the technology in your business, you need to know that its flexibility element is very crucial. At present, the world’s biggest tech giants, from Sony to Samsung, are in the race to develop the most powerful and technologically advanced mobile VR products. So how VR and AR could help e-Commerce? For that, we first need to understand what these technologies have to offer for enterprises and clients in terms of both service and product. To add a new level of curiosity to the online shopping experience, retailers can have virtual showrooms or virtual stores. This will provide customers with a unique virtual experience which will be as close to visiting a physical store that too from the comfort of their own home. Wide consumer markets and stores in Australia like eBay and Myer Department Store have already introduced VR shops to their roster. The basic idea is to give consumers a far more immersive online shopping experience than they currently have. Theoretically, the consumers just need to put on a VR headset at their home and they will immediately find themselves in the virtual environment of the store. Here they can walk through the virtual store and browse the virtual products in the same identical fashion as they do when being in a physical store. Just like trial rooms in a store let consumers “try before you buy”, VR will give the consumers to visualize how a product would appear before they actually buy it. However, to make this possible, the brands need to dive into the realms of AR. Augmented Reality is different than Virtual Reality as in AR is completely based on real surroundings with only a few virtual elements. For instance, as soon as a consumer puts on a headset they will see the room they are already standing in, wherein AR let products and items to overlay in the same environment. They will suddenly be able to see a dress in their room that was on their wish list or a new study lamp on their desk that they were considering buying. AR gives consumers a near appropriate experience of seeing how certain items would look and fit into their everyday life in a far better way than visualizing the physical items in physical stores. Swedish multinational, IKEA has launched an AR catalog app through which consumers can see how certain items and pieces of furniture will look and fit in their homes according to the product’s dimensions and space available in the house. Global retailers like Converse and Lego have also started to let their consumers see how certain products will look. These forms of virtual visualization provide a new level of ‘try and approve’ theory as instead of just reading the product description, consumers can actually see how the product will physically look. A lot of people all around the world still prefer to shop in-store rather than buying their products online on eBay or Amazon. While there is no slowing down for e-Commerce markets, it is because of the element of convenience instead of the ideal shopping experience a customer expects. What the e-Commerce businesses need to focus is to give their customers an online shopping experience similar to that of being in a store physically. For this, they can have VR Stores or implement AR in physical stores. A Virtual version of a store can either be an exact replica of the real store or a fictitious environment over which the traders will have complete control. They can design as they like and keep updating it as per the customer trends and product preferences. Whereas using AR in physical stores will let companies launch additional content and extra information in their stores without occupying additional space. For example, a customer walks into a store, put on an AR headset and starts wandering around. As they take a look at items, they get a pop-up box describing more about the product they are looking at. Such features will not only keep the customers engaged, they also get a shopping experience which is unlike any real shopping experience. Marketers and e-Commerce are always trying the new ways to attract the customer base. Using VR and AR technologies in a physical or online sense shows strong potential to achieve this goal. These new devices allow shoppers to let them immerse in a whole new and appealing e-Commerce experience, getting the feel of both online and physical store at the same time. While VR and AR still seem futuristic, the pace of the growing trend will soon reach the wider consumer base as more and more companies are trying to make the best of these technologies. Next Next post: How to Find Affordable SEO Company in Sydney to Get Organic Visitor in Catering Business?